After what was a tempestuous end to the Carabao Cup Final where our young keeper, Kepa Arrizabalaga, far from covered himself in glory, recent times have seen things return to normal, with the Spaniard recognised as our first-choice keeper. However, that scenario, according to one news source could be set to change. Despite Real Madrid signing Thibaut Courtois, last summer, the news source, TeamTalk, is reporting that Real Madrid are looking at signing a second Chelsea keeper this summer, yes you’ve guessed it, Kepa. Seemingly, according to our referenced source, the Spanish giants are willing to offer Kepa an escape route from his Chelsea hell(?) by offering Chelsea a fee of £50 million for his services. 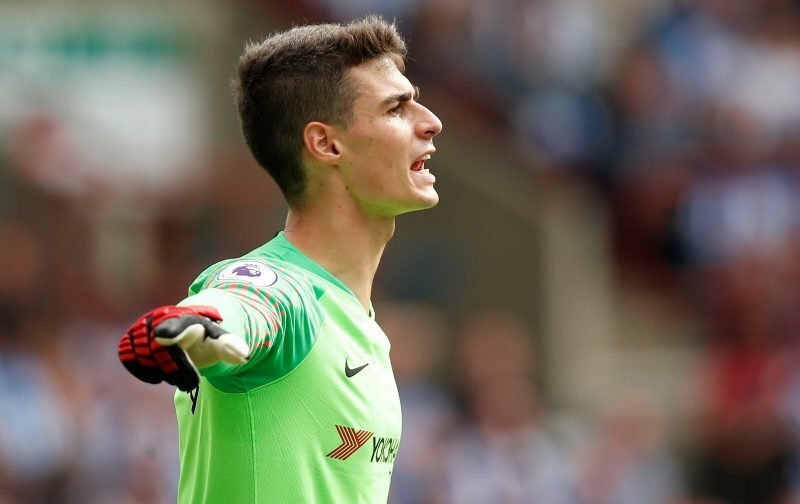 Trying to offer some kind of credence to the deal, our source goes on to infer that the Chelsea hierarchy are looking at bringing in either Jack Butland or Nick Pope as Kepa’s replacement. Quite how they come to this scenario baffles us, here at Vital Chelsea, surely the club, who paid £72 million for the young keeper, wouldn’t be prepared to lose £22 million on him! Here at Vital Chelsea, we’d be amazed if this deal were to go through, but is that a view you concur with? Is this news real, if so, Real Madrid is a mess, by thinking they can talk about giving peanuts for a record spending Goal keeper. Madrid wanted Thibaut Cortouis, and have him. Let them make the best use of him.